Director of the Cabinet Intelligence Service within the Imperial Taiyou Government. 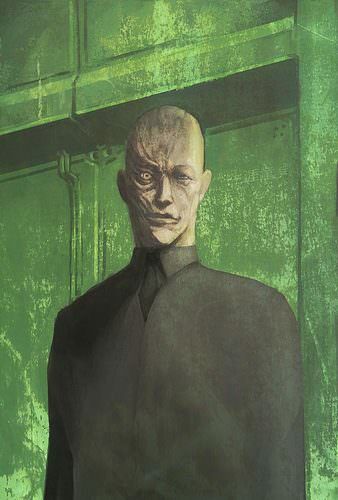 Scarred, and deformed, Kazundo Gohda is the mysterious face behind the Taiyou Empire's Cabinet Intelligence Service, a highly secretive agency that answers to the Chief Cabinet Secretary, and the Prime Minister. Gouda's character is much like his face, as he appears polite and well-spoken but seems to have ulterior, warped motives. He is manipulative, amoral, and smug. A small clinic in Little Shintenchi, it seemed his contacts paid off quite well, thus he decided he would emerge from his rental car. A black fedora, and pair of sunglasses were the chosen attire to match his black suit, protecting his pale figure from the harsh, terran sun. He pushed the sterile glass door to the clinic open, and he surveyed the inside. So this was the life the immigrants were making, simple, humble, far flung from the politics of Niihama City. He approached the receptionist, and offered a smile that was marred by his horridly scarred face. "Konnichiwa." He said, in a gruff voice. "Is Itoh seeing new patients today? My prosthetic arm seems to be acting up." The nurse eventually led Wakatsuchi through a maze like corridor to a small exam room. "She'll be right with you Mr. Wakatsuchi." They said, after recording vitals and other pertinent information. Leaving the room, they went to fetch Itoh who was currently reviewing the previous patient's chart. It always amazed her how people allowed things like basic care to lapse, or just didn't pay attention to what they had been told, which usually resulted in another visit for the same complaint. "Room 6, Doc. Kinda a space case if you ask me." The nurse remarked as she jabbed a thumb over her shoulder at the exam room Wakatsuchi sat in. "A lot of them are like that, Sara." Tsuruko replied, not terribly interested in the nurses' gossip about the current patient. She just wanted to get to the end of another day, go home to her equally shabby and tiny apartment, where she would likely spend the night alone with a bottle of wine till sleep over took her. Walking over and taking the chart off the back of the door, she reached to open the door to the exam room. "Ohayōgozaimasu Wakatsuki-san, kyō wa dōshite imasu ka?" She asked before taking a seat with a small terminal set neatly on the nearby counter. Meanwhile the receptionist at front desk did her best to be polite and return the smile, "Ohayōgozaimasu." She answered with a slight bow. "Let me check, my I ask if you've been a patient here before?" "Ohayōgozaimasu," said Sotan, turning to greet her with a full, but graceful formal bow. He'd opted to stand by the examination table somewhat awkwardly, leaving him in the middle of the room, but giving himself a calculated view of the thorofare outside. "I'm afraid I've been better, but." Wakatsuchi gave the woman a small practised smile, clasping both hands behind his back. "I imagine that's the reason most of us come here." Usually small talk was the sort of thing he avoided at all costs, but he needed a little time for once. "One of my occular implants seems to have stopped sending a feed all together," Sotan continued, turning back to face the windows just in time. A black vehicle, just ever-so-slightly to high-end for the part of Little Shintenchi it was in glided down Main for the third time. He watched as it turned off left at the first light, his good eye zeroing in on the driver's face. Naruhodo.. a rapid series of executables, and subroutines fired off immediately, setting the careful gears of a plan into action. "Its never happened to me before strangely enough, can you imagine?" A soft chuckled rumbled from his chest to punctuate his question. "One second you're recording your sister's wedding, the next you only have one working eye." He turned back again, his glance sweeping the final segment of the room as he did so. "Its really rather perturbing, if I may say." Gohda slowly shook his head. "I'm just passing through." He said, looking to the door towards the back of the clinic, it was a simple enough visual hack, it seemed almost everyone in the clinic had extensive prosthesis. "It's actually quite urgent." He said, tilting his hat to the receptionist. He didn't leave much up to chance, but he turned towards the door. Gohda's security contingent positioned themselves all around the clinic, quiet movements and therm-optical camouflage concealing their movements about the facility. They would make themselves as unnoticeable as possible, so that they wouldn't be a burden on the Director's plan. A second rather imposing man stepped into the office, but unlike Gohda's his face was quite a bit more recognizeable. Seno wondered why the Cabinet Intelligence Service decided to drag him, and some of his best technology half way across the universe, but apparently Gohda had approached the Director as a personal request. Perhaps it was to earn more authenticity towards Gohda's personage. "We're with the Imperial Science directorate." Miyagi explained. "I'm director Miyagi, and this is my assiociate, Director Hitori; We need to see Dr. Itoh immediately." Tsuruko nodded as she made a few notes on the terminal before motioning for Sotan to take a seat. "It is unusual for ocular implants to fail, especially since the rate is so low, but it can happen." She said as she reached for the disinfectant. White foam sprayed out into her hands with a hiss, and Tsuruko vigorously rubbed them together in an effort to disperse the foam and dry her hands. "Let's have a look shall we?" Standing, she moved over towards Sotan to complete the initial physical exam before delving further into the electronics and their software to locate the problem. "Normally the failure rate of these is something like 1.6%, depending on who manufactured it..." Tsuruko guessed. Optical implants weren't something she saw regularly, but she had seen them in the past on Niihama. They were a popular military augmentation, and few civilians even considered them. "Have you had any head trauma or any other physical activity that would have caused micro cracks in processors or damage to micromachine motors?" She asked patiently, hardly even aware of who stood in her waiting room right then and there. Frowning, the receptionist nodded understanding that neither of these two men were to be denied their requested access to the doctor. "She's with a patient right now.. I'll ask one of the nurses to go get her." She said with another nodding bow, hoping that this wouldn't cause trouble. "Sara! I need you to go get Dr. Itoh... I know.. but it's important. I promise!" The young woman said, quickly contacting her colleague through the neural networks. With a knock on the door, the nurse slipped inside the tiny exam room. The place had really seen better days and was in no way as sophisticated or elegant as many of the clinics back on Niihama; it was full of old equipment, and second hand fixtures. Light fixtures in the hallways and waiting room buzzed impatiently against the droning of the industrial central air units. "You have two men outside to see you Dr. Itoh..." Sara told the other, momentarily forgetting there was a patient in the room. "An understatement I'd say," Chimed Wakatsuchi without warning. His entire demeanor shifted in an instant, the dopey confusion melting away. "Seeing as one of them is Seno Miyagi." It was time for him to drop the act, and fast. "Doctor Itoh," he said with a sigh, pulling back from from her, and pushing off the examination table. "I'm afraid you've found yourself in the middle of both false pretenses, and a.. delicate situation. Your service is required by Terra." His left hand vanished into his suit as he spoke, reappearing a moment later with an orante golden badge, an engraving with a more westernized dragon on the front. The phrase "IN LIFE SERVICE, IN DEATH HONOUR" was scribed on either end in Terran Common. Wakatsuchi stuffed it back into his suit jacket just as quickly as he produced it. "Both of yours actually, and now." He shot a seemingly nervous glance out the nearest window before trying to literally shake his nerves out. "Listen to whatever they have to say, and ask as many questions as you safely can, Doctor." He turned his attention over to the nurse, reguarding her neutrally. "I need you to stall them, not long enough to aggravate - I only need enough time to get gone." Seno briefly turned to Gohda and spoke to him in Taiyou, Gohda returned the quiet gesture before the two of them turned back to the receptionist. Seno adjusted his glasses, and briefly glanced down at his watch. Even though the technology existed to replace his eyes with sophisticated cybernetics, he opted to keep most of his humanity intact. With minimal cybernetics, he was a stark contrast to Director Gohda. "Someone's with the doctor, Director." Gohda said, keeping his hands in his jacket pockets. "I've got the offer she can't refuse." Gohda said, turning to Miyagi, and then the receptionist. "We don't have all day, We might as well go back to her, rather than wait for her to come out at her earliest convenience." Itoh narrowed her eyes at Wakatsuchi as he produced his credentials. She had come to Terra to avoid all of this, and hopefully begin again. Unfortunately now it seemed that her old life was at her door, pounding to be let back in. "Pretenses? Delicate? What?" Tsuruko sputtered. So much for a boring day at the clinic, and then home. Suddenly the Taiyou's science director and whoever else were standing out in her waiting room. Shaking her head she tried to regain her train of thought. Turning to her nurse, she said a few terse and quiet words in Taiyou before turning her attention back to Wakatsuchi. "My nurse here will show you out the back, it empties into a mostly unused and unmonitored alley. They'll just think you're staff..." She said muttering the last part. It worried her that suddenly someone so high up had deemed her necessary of their attention. While Tsuruko stuttered and stammered her way through to whatever fate awaited her with Goda and Miyagi, her nurse ensured that Wakatsuchi was escorted safely out, and the receptionist was able to stall the pair for time. Neither really knew much about their boss, except that she had immigrated with one of the earlier waves of Taiyou from Niihama. Tsuruko was rather absent minded, almost as if her thoughts didn't allow her to be fully present; but when it came to cybernetics and the people who had them, she was excellent none the less. "Dr. Itoh will see you now." The receptionist said suddenly with a bow as she then ushered the men down the narrow dimly lit hall to an equally dim and dingy office space that was shared with the other practitioners. Ones that tended to rotate through, talk a good game, show up maybe once, and then leave. Such was the nature of getting help with a psymech specialty. Terra didn't pay enough, and it sure as hell wasn't glamorous enough. The two men offered a nod, and followed the nurse to the back of the office. Both Seno, And Kazundo were imposing men of high rank, and caliber. Seno tried to maintain a polite veneer at the less than ideal accommodations, and work-spaces within this office. Miyagi was used to the rather clean facilities back on Niihama, he had after-all maintained rather high standards when it came to his research labs, and Gouda didn't seem to have an opinion either way, opting instead to keep quiet as they breached the doorway and entered Itoh's office. Both offered respectful bows, with Miyagi beginning the introductions. "Good Afternoon, I'm Director Miyagi Seno, and this is Director Gōda Kazundo, and we're with the Imperial Taiyou Government." Miyagi explained. "We have an opportunity for you." The Director added. "Ohayōgozaimasu Directors." Tsuruko replied while returning their bows. She then motioned towards a small seating area that had been cleared of the papers that seemed to cover every other surface in the office. The office was currently in a state that could be best described as a disaster, schematics and wiring diagrams printed then taped together littered every flat surface of the office. Bits and pieces of test modules and models sat on top of these. It was very clear that the woman was talented at her job as a psymech, but a bit disorganized. "Please." She said with another bow, clearly trying to hide her annoyance at the interruption to her day. "I'm not sure why the Taiyou Imperial Government would be here in Little Shintenchi or what they would want with my clinic. There are others that do what I do." Tsuruko added not really sure if there were others or not. She'd not really gotten out much since moving her life, what little of it there was left, to Terra. "And an opportunity is quite.. the thing to hear from someone like either of you." No need to tag Goda outside of this post, as he's left the room. Shimizu kept his gaze silently fixed on Thrawn, upon his glowing red eyes, as he offered his response. This Thrawn was questioning Shimizu's allocation of resources. This was laughable at best, but at worst... this produced a marked narrowing of Shimizu's eyes, as he quietly shifted in his seat, then raised his hand, and snapped his fingers. The door on the far end of the conference room opened, and a scarred, deformed, rather imposing Taiyou man in solid black stepped inside. "Tennoheika." He said, offering a deep bow. "Umibōzu-desu o okutte, kare ga shitte iru koto o mitsuke, sorekara kare ga shinu no o mimasu." He said aloud to the other man, there was no change in expression among either, and the words spoken were without inflection, and carefully chosen. "Hai, Wakarimashita." The scarred man said in response. The taller man offered a bow, and then promptly turned to leave through the door in which he came. Shimizu's eyes went back towards Thrawn, before reaching into his belt, and withdrawing Tenchi-Ken, placing it on the table directly in front of him. This blade made every Aschen visibly uncomfortable, but Shimizu simply kept his eyes on Thrawn. "This is the single most powerful construct in the known universe, it is called Tenchi-Ken, the Sword of Heaven and Earth. I couldn't help but notice you eyeing it, Grand Admiral. I assure you this is no lightsaber." The three gems glinted in the light of the room, before Shimizu's eyes went to the Aschen, whom kept largely silent, then back to Thrawn. "The Taiyou Empire, and the Aschen Empire are not enemies, but esteemed allies in mutual aim to bring peace, and prosperity to the galaxy at large. Forces of the AXIS Cooperation Forces, including those of the Taiyou Empire work vigilantly to ensure the protection of all trade vessels from piracy, and privateering; to insinuate otherwise is an insult." The Taiyou Emperor replied. "Furthermore, you will address me as Ten'nō-heika. Anything else, and I shall have you struck down. Do I make myself clear?" Shimizu inquired, letting his gaze soften back into a smile. "My esteemed colleagues of the Aschen Empire... perhaps a mutual proposition that will benefit all parties. You will be permitted to have a Self Defense Force, in the absolute strictest sense of the word, until the superiors of your government negotiate a more... mutually beneficial treaty." Shimizu proposed. Zarek promptly interjected. "We demand to be allowed weapons inspectors, and the locations of your shipyards!" The Aschen Sire called out. He was however silenced, as Shimizu raised his hand to speak. "I will bring the Soja to Terra, where I may begin a peace tour, to personally inspect your new army." Shimizu said cooly. "Do you find these terms objectionable?" Ayla stayed silent as Shimizu dominated the negotiations. She'd expected no less from the man what little of his reputation, and the delicate political web of both nations she knew of. But mostly it was Thrawn's own words that stayed her tongue, and increased her grip. They echoed through her still damaged mind, reverberating off of every dark, shattered recess with discomfort. She knew a threat when she heard one, no matter how "carefully" veiled it was. "The safety of the Aschen on Terra.." It left her only vaguely aware of Goda's presence, though thanks to an eidetic memory it wasn't an issue. Tenchi-Ken being placed on the table caught her eye though, snapping her out of the brief brood just long enough. It was, in truth, a beautiful thing, and whether or not it was truly the "most powerful weapon in creation" was well beyond her. She could absolutely feel the power it emminanted though. Like a buzzing in the back of her skull, and up her teeth. The havoc she could cause with such a thing..
Again she returned her attention to the meeting, just in time for Zarek's outburst. He seemed prone to emotionality to the Confessor, and Ayla didn't doubt ulterior motives beyond even that of the IIA were at play with him. Inspectors were usually a forgone conclusion in such negotiations, so his insistence raised a flag. Perhaps he was in need of a private conversation himself later. But first things first. "The Soja.." she mused, recalling the Aschen intelligence the Cabal had gathered on it. 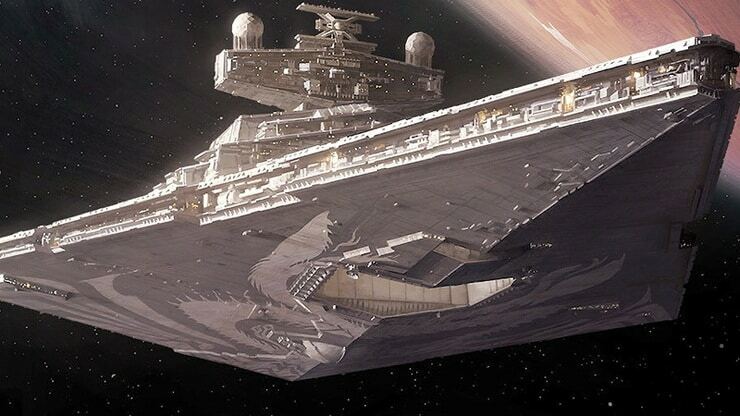 A more impressive ship had yet to be built, although Thrawn would be hard pressed to be aware of that fact. As much as Shimizu's obvious plan alarmed her it was better for both empires if the severity was left understated. "That would certainty be a sight, Ten'nō-heika," it was hard to keep the annoyance from her tone, but Ayla managed. Barely. "I've heard your peace tours are quite legendary. Terra would be honoured indeed, and I applaud your effort." There was a "but" coming, and the Confessor made no effort to hide it. "However," she said with a cluck of the tongue, her fingers now digging in to Thrawn's shoulder. "I will not tolerate a threat to the Aschen Empire, or her innocent civilians manning their posts abroad." She glared down at Thrawn, leveling her comment directly at him, and not Shimizu. "'The safety of the Aschen on Terra?'" Snarled the Confessor, setting her glass down next to Thrawn with exaggerated care. "Do you think me deaf? My colleagues dull of mind? You come here claiming peace, and yet you brought guns to our capital. You have spoke of war!" Her anger was clearly rising, and cracks were beginning to form in her detached persona. The violence within was going to leak at this rate. "You have made threats, several, and thinly veiled! There is no "protection" your paultry backwater can offer us, nor any harm it can inflict. Such arrogant posturing is exactly why the Shintenchi Shogunate keeps weapons of mass destruction aimed at every Terran city!" She released the Defense Minister, breaking from his side with a sweeping stride. She moved elegantly now, and with a speed far beyond that of a standard human, coming to a stop in front of the display with Big Brother's visage. She clasped her hands behind her back, and stared up at the massive screen in contemplation. It was difficult for Ayla to reel her rage in, the procedure Marlene had performed helped, yes, but not enough. Nothing stopped the need for battle, and inflicting pain. After a moment she spoke again, now with a forced calm that barely hid the storm beneath. "So I will ask you once more, a mercy rarely granted by a Confessor Minister Thrawn, and your answer will determine much. What does the Aschen Empire stand to gain from this?" In silence, Shimizu stared out into the blackness of space as it was broadcast inside the massive viewscreen aboard the Soja's bridge. In this room, there were few, Shimizu, his Imperial Guards, and Kazundo Goda. "Deep space Hyperspace flux sensors reported the Chimaera should be on course to this location." Goda reported, as he passed the information to Shimizu, whom quietly took the papers, and read them over. "Good." The Emperor replied, returning the papers back to Goda. "Thrawn is a dangerous adversary, one that I would like eliminated quickly, and quietly." He turned his attention back towards the blackness of space, while clasping his hands behind his back. There were millions of Taiyou warships dotting the surrounding space, one ship per thousand kilometers, battleships, cruisers, carriers, the entire full force of the first Imperial Armada. Every one of them was willing to give their lives to protect the Soja, to protect the Emperor, even though the massive Taiyou warship didn't need protecting. 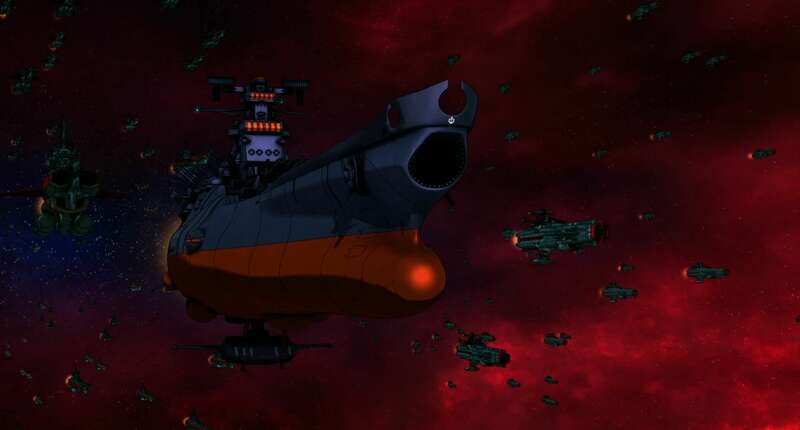 The millions of Taiyou ships maintained their formations, a spherical screen around the Soja, which given it's sheer size, stood out among the swarm of Taiyou ships. Quietly they waited, for Shimizu to spring his trap. The Chimaera went along at its present course, and directly towards the looming Taiyou Armada. Needless to say, even Thrawn was caught off guard when his sensor's officer came running into his office explaining that millions of ships had come into range. Striding onto the command bridge, Thrawn's Glowing red eyes narrowed, and he clapsed his hands behind his back as he strode to the view-window. "Gunners Stand down... there is no way the Chimaera can survive a conflict of this scale alone... not in her present state." Thrawn said, looking over the Taiyou Armada with his usual cunning eyes. This was a show of Force meant to intimidate, and if necessary, kill Thrawn before he began to actually pose a threat to the Taiyou. A smirk befell the Chiss Grand Admiral's face, and he strolled over to the holo-communication table. It was only a matter of time before the Taiyou Emperor either ordered the armada to open fire, or he rose Thrawn on comms. And the Chiss was eager to see which. 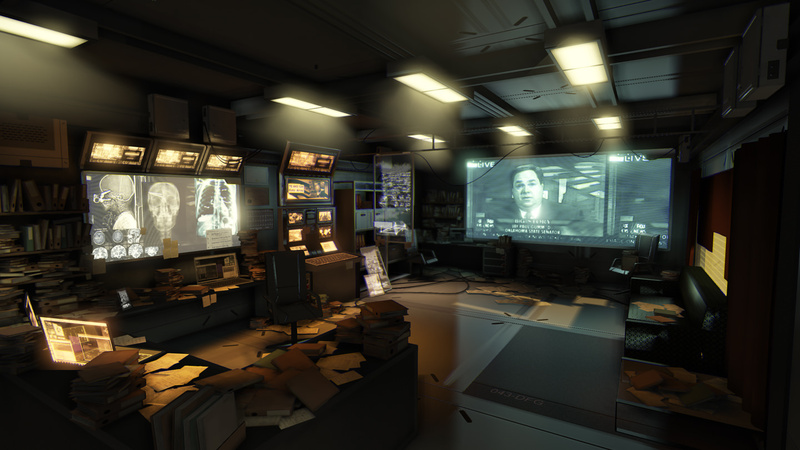 "Tennoheika..." The Ship's helm officer reported, as his image superimposed on the viewscreen. 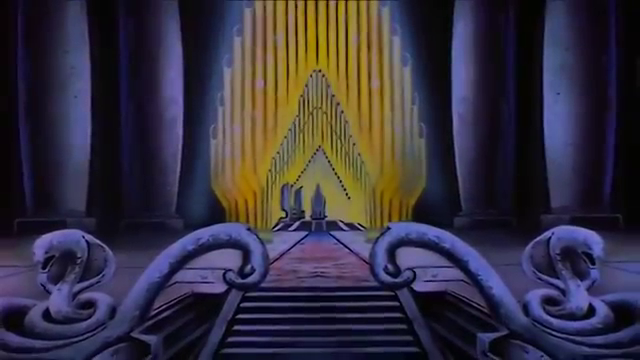 "They have arrived, on schedule..."
Shimizu simply smiled, then he turned to face the massive pipe organ situated to the rear of his throne chamber. "Ensure that they reach this chamber; unhindered." Shimizu ordered. Goda, and his staff all offered bows, before they turned to leave. Sitting down before the pipe organ, his hands moved to the keys, and began to draw out a melody, slowly, and methodically. The sound of the pipe organ reverberated through the towering columns, and stone masonry of the chamber, filling the room with an eerie tone. The Taiyou fleet neither sent a hail, nor opened fire. Rather they maintained their position around the Soja, even their weapons had not gone to the ready. Aboard the Chimaera, mere feet from where Thrawn stood on his bridge, there was a brief distortion of energy, a ripple effect of sorts before a shimmering green orb of light formed, and grew to about the size of a man's height. Shimizu's pipe organ recital echoed through the strange sphere, as an inky black doorway formed in the green light, tendrils of shadow seeping outwards in all directions across a green portal. It was a simple einstein-rosen bridge, one that would lead to the Soja. Thrawn continued to watch everything as it happened. The Taiyou Armada held position, and no hail was received. Instead, a sort of portal opened up, and through it, music oozed its way into the Chimaera's bridge. Thrawn stepped through, and with him stepped Dee, who followed behind and left of Thrawn. Pausing immediately after passing through the portal, Thrawn turned to Dee, and gave a soft incline of his head, one that meant to stay quiet, and merely observe. Dee nodded in return. "The music is somber and melodic - Similar to a lullaby. It presents a welcome feeling at first, though one could wonder at its under tones. In a way, it resembles the man playing it, but for now, seems to be nothing more than a welcoming song." Thrawn stepped forward as much as he was allowed to, and offered a bow to Shimizu when the Taiyou Emperor turned his gaze upon him. "Ten'nō-heika, it is good to see you again - and so soon after our meeting on the Aschen home world. This is the Soja you described? I would be lying to say I was not impressed. It far exceeds anything I have yet to experience in my life. Whether with the Empire, or the Chiss Ascendancy. You are early, however. The only parts of the Terran Defense Force I have at my disposal are what already exist, and they are of little use to me as they are. I have many plans, however, for ships and the army alike, Ten'nō-heika, if you would instead aspire to inspect those in absence of a proper military force." Thrawn spoke. A small bit of flattery right off the bat never hurt any conversation, though from Thrawn, or Chiss in general, that was a hard-earned delicacy. And Shimizu had already earned it. Keeping his hands behinds clasped behind his back and his stance and tone neutral, Thrawn's glowing red eyes observed everything they could, and his face remained as stoic as ever. Between the portal, and where Shimizu sat, was a good several meters, it would take Thrawn an entire five minutes to cross the massive chapel, while the pipe organ reverberated through the chamber. Only when Thrawn reached the raised platform where Shimizu was situated, did he stop, and slowly rise from the pipe organ. The Emperor paid close attention to the words spoken, as his footfalls echoed sharply in the hall, against marble columns, a marble floor, and vaulted, stone ceilings. "Ah yes, my flagship." Shimizu said with a smile. "She is the most powerful warship in two galaxies." Shimizu boasted. "Designed, and constructed using the most sophisticated techniques, combined with the most ancient of power." Shimizu observed his counterpart for a moment, letting his hands move across the pleated yukata he was wearing. "But I'm not here to inspect your military; I'm here to conduct my peace tour." He said warmly, inclining his head slightly. He walked over towards one of the cobra statues situated at the far end of the chamber, his feet still echoing in the grand chamber of his throne room, and then he placed his hand upon it's head. "You will never find a vessel suitable to challenge this one. It's shields counteract anything thrown at it, and it's hull is nearly impervious. But I won't spoil all of it's secrets." Shimizu said with a smile. "I merely wanted you to bear witness to our grandeur." As Thrawn and Dee approached Shimizu, the Chiss noted the lack of guards, and kept his pace steady as he advanced. He was wise not to bring his own guards then, lest he provoke hostilities. On a peace tour, that would be most regrettable. Thrawn didn't move as Shimizu spoke and moved about his Throne room, though he didn't move far; Thrawn kept his Glowing Red eyes locked on the Emperor. "Shimizu is entirely and completely comfortable within his ship, and entirely confident in her prowess. Whether the claims can be proven is not something that Terra would benefit in finding out any time soon. A Peace Tour, perhaps, is the best thing for Terra at this moment." Thrawn took a moment to look around, and take in his surroundings, his expression regardless remained neutral, and he offered an incline of his head towards the Emperor, nodding. "Your flagship truly is a work of engineering brilliance, Ten'nō-heika. I look forward to seeing your Peace Parade - I've heard Taiyou Parades are quite a spectacle in my short time in this Galaxy." he stated. "If I may be so bold, might I request a tour of your vessel? I would like to see more than simply your throne room. Thrawn did not speak his reason, though to one as cunning as Shimizu, who by now was unraveling how Thrawn's mind ticked, the tour would be possibly to look for possible weak points, if there were any, or to look for answers and inspiration for his own fleet. In Thrawn's case, it was the latter - any way to make the soon-to-be-built Terran Defense Fleet more of a force to be reckoned with would be taken into consideration by Thrawn, before being presented to the TNG for approval. But getting inspiration took time. Time Thrawn was willing to spend, for now. As Thrawn started to marvol the ship, a C.O.R.e. 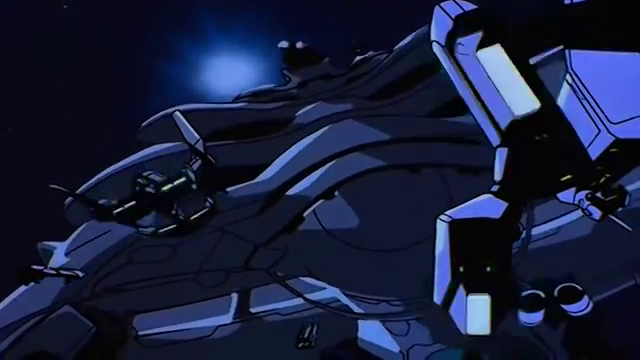 Angel decender popped out of hyper space right next to the ship, and if moved even slightly to the left, it would be scraping against the flag ship. This was all traditional when the C.O.R.e. wanted somthing from someone or something, C.O.R.e. took it. Shimizu chuckled, before he slowly shook his head. "With respect... Grand Admiral; a tour of this ship would take days." Shimizu admitted, turning back towards the ceiling, which projected a large view-screen, that immediately came to life; displaying the ship's captain, aboard a vast and busy bridge. Captain Okita was an older man, with white hair, and a bushy white beard, his age betraying his experience. "Tenno Heika, takion sensā wa, kono fune to kōsa suru yō ni settei sa reta chō kūkan rōka o kenshutsu shite imasu." He reported. Shimizu grinned, and then narrowed his eyes. "Sorera o hakai suru." He ordered. The Emperor gave off a smile, before returning his attention back to Thrawn. "It seems someone is planning to exit hyperspace on a collision course." The Emperor said. "I hope you didn't orchestrate this." He said, turning back towards the screen, which shifted back to the blackness of space, while clasping his hands behind his back. "Allow me to teach them some manners." Shimizu said with a grin. Coming out of hyperspace so close to a ship as large, and as powerful as the Soja was Core's first mistake, and this particular angel descender's last. The Core vessel would first be caught within the Soja's powerful shields, that acted like a torrential concussive blast of trans-dimensional energy. The Soja didn't flinch, nor did it even attempt to power it's weapons or take evasive maneuvers, as a careless maneuver such as this would likely instantly, and completely destroy the Angel Descender, while the hull of the Soja hardly bore even a scratch. Shimizu simply grinned from where he stood, as the Soja didn't even shudder from the impact. It was like bugs on a windshield. The C.O.R.e did not get damaged as they had thought it just slowly moved past. The ship was to strong for the shield to destroy it immediatly, but would collapse if it stayed. Soon it passed the shield and just sat there looking at the Soja. It's the ship gave off a purple hue around it. The C.O.R.e. sent a transmission "Hello. We are C.O.R.e.. This unit has been sent to make an arrangement. Are you willing to listen, or will you be like any other un-civilized, organic, lifeform and attack?" Shimizu simply raised his eyebrow. The Soja would take catastrophic damage? Not likely. But the Emperor considered the thought slightly amusing none the less. It was an impossibility that the Core Ship could possibly survive such a close encounter with the Soja's shields without being totally eviscerated, and even though the ship seemed intact, the trans-dimensional shields had likely torn at it on a molecular level, leaving the Core ship with trillions of micro-fractures along it's hull. Shimizu stared at the Core Ship in the distance, while a wicked smile adorned his lips. He could test the full power of the Soja here before Thrawn. "Perhaps an experiement..." The Emperor said, removing Tenchi-Ken, and holding it outstretched. A small pedestal with a receptacle emerged from the floor, and Shimizu set the sword in place, before the receptacle locked the sword in place, and shimmering conduits began to illuminate into the marble floor. A deep, and deafening whir filled the interior of the Soja, as the raw energy of the gems filled it's reserves. "Soja's main gun is the most powerful weapon in the known universe." Shimizu commented. "I will hear their proposal before I destroy them, however." Shimizu added, waiting for a response. "C.O.R.e. does not seek to harm this ship. We wish to have study on you. Your culture and people. We are seekers of knowledge. This unit does not have weopens anyway. So destroying us will do nothing, if you use your weopens, you might 'kill' C.O.R.e. units but C.O.R.e. will know of your ships power." The hivemind thought momentarily before continueing. "We have technology that might or might not help, we can give you aid in battle, supply you. And if you refute, it would just be... Ignorant, why not take something for free?" The ship remained silent, waiting for a responce. Thrawn's eyes narrowed further, and he listened to the exchange of each ship. A curious, non-threatening AI offering aid to an empire that did not need it. And based on the way it spoke, it was a hive-mind, or at least, a collective. Thrawn's ears picked up the whir that filled and rumbled within the Soja, and his crimson eyes. "A suggestion, Ten'nō-heika. If you are to destroy this... C.O.R.e ship, don't use the Soja. If push comes to shove, and they become a hostile faction, it would be better to save the main weapon for your ultimate victory." Thrawn said calmly, moving his eyes back to Shimizu, waiting for a reaction.